Home The Wainwrights in Colour Make me an offer. After well over ten years of devoting my time to The Wainwrights in Colour I now have to move on to new ideas. Of course I will not completely forget that work, I can’t, I still have books to sell and talks to give but now is the time to progess in another painting direction. In fact I already have a major exhibition planned for the summer and I must make room for new work here in my studio. 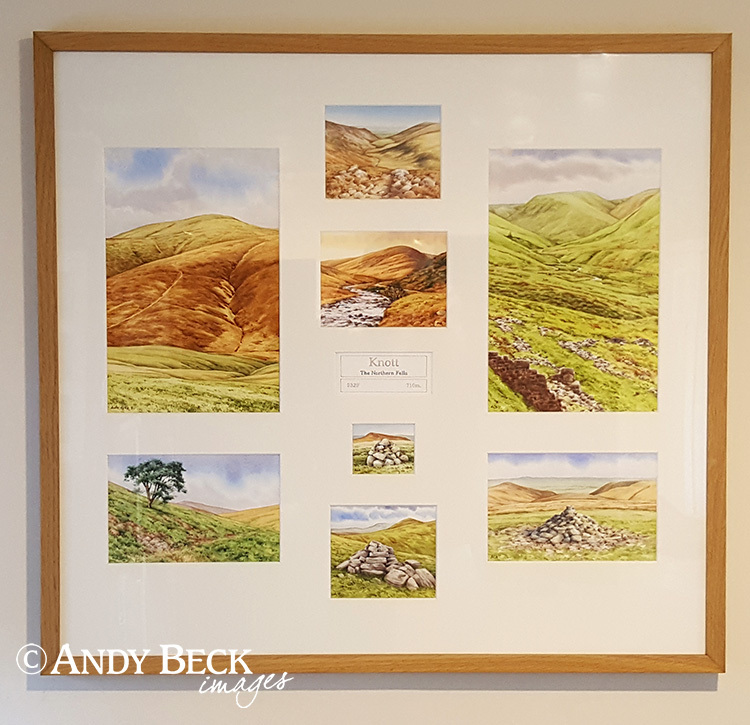 Currently adorning the walls of my studio are the very last two original works from The Wainwrights in Colour, of all the 225 original works from the project I have just two fells left, Bakestall and Knott. Everyday I see them and they act as reminders of the huge and sucessful undertaking of that project but now I need fresh inspiration. Space needs to be made for new and exciting works. Consequently I am putting these two fells up for sale and unlike all the other originals from the series which sold for the asking price I am willing to take reasonable offers for both works. I would like to see them go to good homes where they will be appreciated and enjoyed. Knott- from the Northern Fells. Bakestall- another from the Northern Fells. As with all the other watercolour sketches these are just one off originals and have never, or will ever be offered as prints. The only way to see these sketches in any other form is in The Wainwrights in Colour book. This makes these works rather special, whilst everyone else will own copies of the book this is a unique opportunity to own one of these unique pieces of work. Listed in the catalogue the framed works were priced at £995 for Bakestall (nine sketches 74cm x 80cm framed) and Knott (eight sketches 64cm x 69cm framed) was priced at £740. Now I will consider all reasonable offers for these individually and I will be happy to discuss delivery or collection. 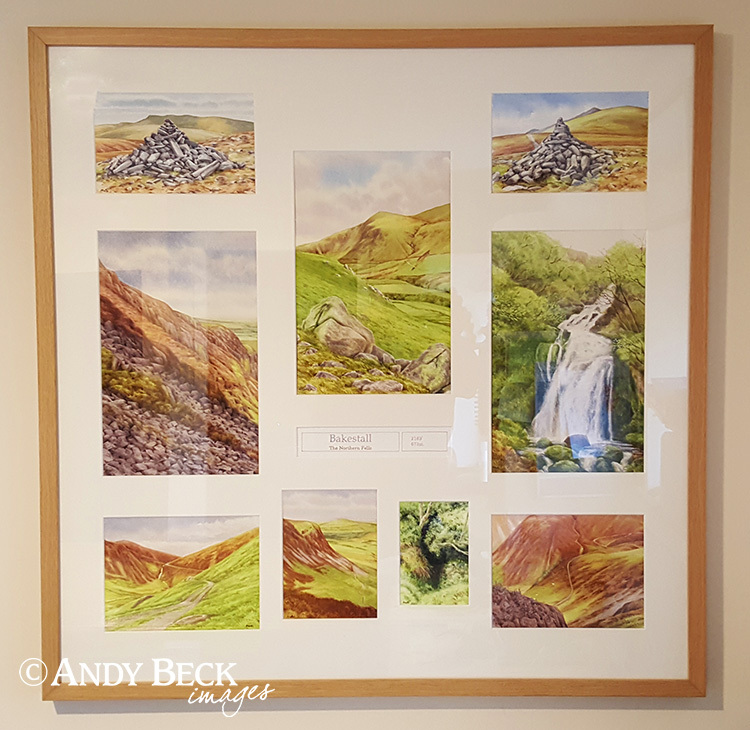 This is a great opportunity to own one of these unique works, especially to those who walk the Lakeland Fells, once they are gone they are gone. Edit (18/1/19): As I mentioned above, I will not be offended by any offers but please make these offers reasonable and consider the original asking price when submitting a figure. Update: (23/1/19) Bakestall has now been sold. Knott is under offer.